NuForce are our kind of company – their power efficiency, their use of minimal resources to deliver maximum fidelity dovetail perfectly with our commitment to organisations like WWF. The affordability, lack of artifice and clear commitment to bring fantastic sound to the masses is as close to audio socialism as we'll ever get – we think this is a good thing. The concept of the audiophile having to sell their soul to afford some esoteric, expensive and often unreliable products to extract the elusive nuance of music is redundant. It’s time for a new generation of music enthusiasts who appreciate that hifi is a means to an end, not the end in itself. NuForce is a California-based company devoted to the development of exceptionally fine consumer-electronic products. They launched as a brand in 2005 with audiophile-quality switching amplifiers based on patented, proprietary technology, thereby promptly becoming a leader in audio's high-end marketplace. The introduction of the Icon range bought NuForce into New Zealand homes with ultra-compact high value amplifiers and DACs that simply sounded better and cost less than anything else. We loved them. The Home 100 Series components built on this - star of the show was the best selling DDA-100 integrated amplifier. The subject of fantastic reviews and awards, the performance of the DDA-100 has been taken even further with the DDA-120. The addition of both analogue and Bluetooth inputs make the new DDA-120 the best integrated amplifier of any type at this level. At the same time as the DDA-120 introduction, the aquisition of NuForce by Optoma was announced. Headquartered in Silicon Valley, Optoma Technology is the number one supplier of DLP® projectors in the Americas. There is an obvious synergy with the Nuforce AV range. Other key products within the Nuforce range have been continued or upgraded. And new models introduced to build on the NuForce strengths of digital innovation and value. Concurrent with this, NuPrime - a new and independent company whose purpose is to carry on in the celebrated tradition of the NuForce high-end product line, was launched. The NuPrime IDA-16 extreme resolution digital integrated amplifier is a shot across the bows of every serious hifi designer and manufacturer. You’ll now agree that NuForce are a seriously cool digital company. 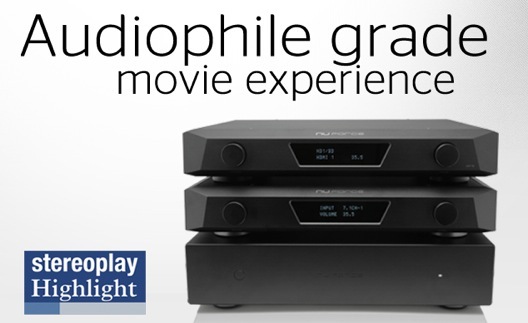 So who better to shake up the home cinema market with their new AV pre/power components. If you are 21st century kind of person looking to the future you won’t need the plethora of plugs and features that have done little more than make life complicated for home theatre owners. NuForce have made incredible advances in bringing great sound quality down to a very affordable level so there is no surprise at the astonishing performance of their best audio. Read more. There is a consistent thread in the NuForce designs - The utilization of state of the art digital technologies for inputs establishes first rung of maximizing fidelity. The compact size is made possible by the switching amplifier sections and power supplies with their attendant efficiency and cool running, and in turn, the use of surface mount components for these and other sections produces ultra short signal paths and minimal support circuitry which contribute greatly to the remarkable detail which flows through and the absence of nose and interference. And the design is completely user friendly and intuitive with simple but high quality controls and connection. In the competitive world of earphones, NuForce have build an enviable reputation garnering positive reviews from discerning listeners across the planet. 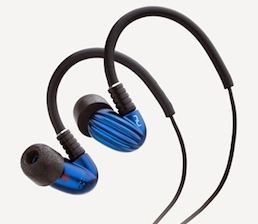 These higher level earphones achieve a sound quality that will thrill astute listeners. You'll also appreciate the wearability and exemplary build. All models are designed for all weather listening and active lifestyles. As you would expect with a quality earphone each comes with a variety of earbuds for personal fitting, important for comfort, noise isolation and great sound.